"The Barrens," by Stephanie Feldman [bio] (edited by C.C. 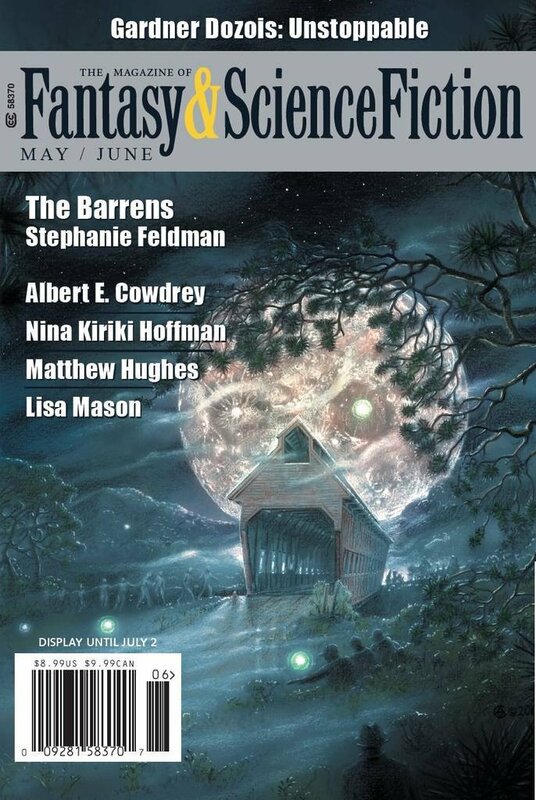 Finlay), appeared in Magazine of Fantasy & Science Fiction issue 05-06|18, published on April 27, 2018 by Spilogale Inc. Pro: The things that live in the Barrens get three sacrifices, and the two girls escape. Anna is healed, but Gabby may be cursed by whatever the flying head was. In the process, there’s a fair amount of tension and excitement. Con: The killing all seems pointless, in terms of plotting, anyway. None of these kids particularly deserves to die (or survive, for that matter). That makes the ending a bit unsatisfying.